Membership management software is broadly used to modernize the membership management process for enterprises and create more modified, satisfying experience for members. This software makes the appointment for members more planned by serving the firm’s every aspect of the membership program. This software can prepare for non-profit organization and associations with the variety of tools to accomplish their membership programs more efficiently and effectively. This can be achieved by building complete member profiles for automating renewal reminders and other communications. The Global Membership Management Software Market, in terms of revenue, was valued at US$ 407.45 Mn in 2017 and is expected to reach US$ 548.91 Mn by 2022. This industry offers the certain benefits, which include members can securely update their own contact information, register for events, renew membership, and pay membership dues, even when they are on the go. One can also build engagement by offering members access to secure member-only web content like industry research, subscription content, as well as forums and blogs that enable networking and information sharing. Further, there is growing demand from non-profit organizations to optimize membership experiences by making it more flexible and immersive. This is one of the few factors that are boosting the demand for membership management software market in near future. There are various challenges associated with membership management software such as integration issues are acting as a key challenge for the growth of the aforementioned market. Furthermore, rise in the number of fitness centers and health clubs and need for membership management in developed as well as developing countries can provide substantial growth opportunity to the global market. Large Enterprise, among end user, accounted to capture the largest market share at present as this organization serves a large group of members, and in exchange for their membership offer special gifts, invitations to workshops and events, free subscription to the newsletter, discounts on products and services, and more. 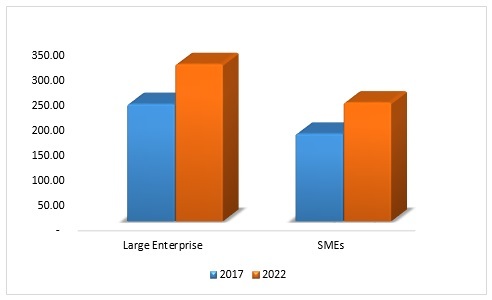 Membership-based enterprises serve a wide range of museums, clubs, civic leagues, unions, cultural societies, professional associations and moreover this is expected to drive the growth of segment over the forecast period. On the basis of geographical segmentation, North America is expected to hold the largest market share owing to the presence of major IT, healthcare, and other companies in the region, which is projected to be the main factors contributing to this flourishing growth. Developing economies of Canada and Mexico are also constituting to be the major consumers of membership management software in the North American region. 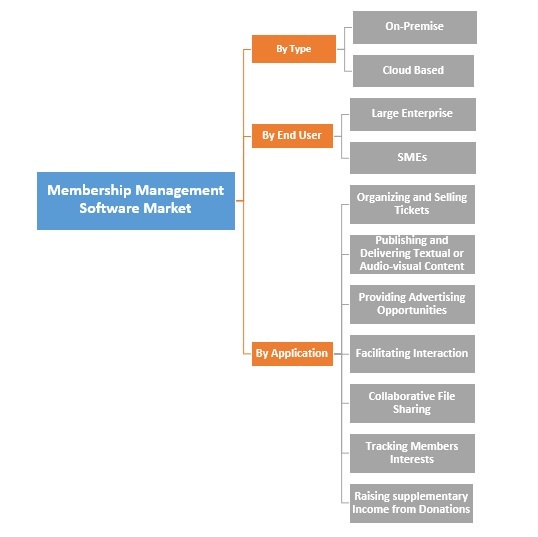 Some of the primary players of global membership management software market are Active Network LLC, ClubExpress, Go Figure, Member365, MemberClicks, LLC, MemberPlanet, NationBuilder, Regpack, Softwood Technology Inc (Sumac), Star Chapter LLC, Wild Apricot Inc., Wodify Technologies Ltd, YourMembership, Zen Planner, LLC, Zenbership (Castlamp) amongst others.